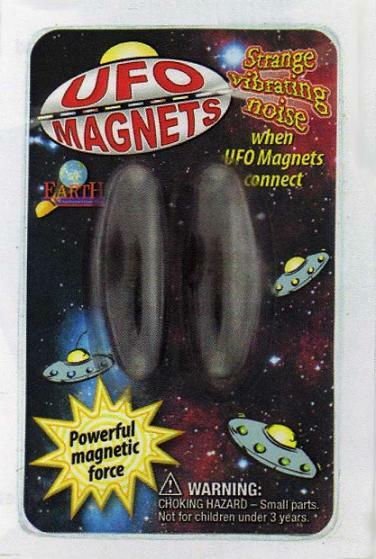 These powerful ferric permanent magnets are shaped like something that could be from outer space. Throw them up inthe air close together and their magnetic fields attract, causing them to vibrate against each other and make a strange noise like the sound of a UFO. Available in inventory at $4.95 each.